AT ED KENLEY FORD THIS IS INCLUDED AT NO COST TO YOU! ORDER A NEW VEHICLE FROM ED KENLEY FORD IN LAYTON, WITH YOUR SPECIFICATIONS, WITH NO MONEY DOWN (CALL FOR DETAILS). 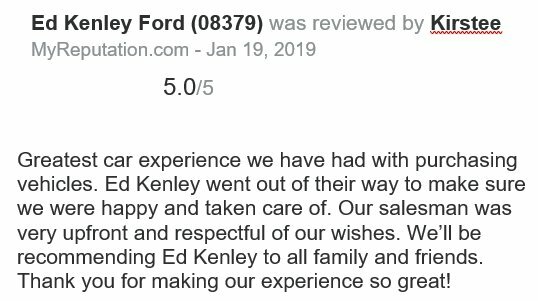 AT ED KENLEY FORD IN LAYTON, YOU WILL BE TREATED LIKE FAMILY BY STAFF MEMBERS THAT KNOW THIS IS NOT A ONE-TIME SALE, BUT A LIFETIME CUSTOMER RELATIONSHIP. You won't want to miss this excellent value! Settle in and experience the rush! A turbocharger further enhances performance, while also preserving fuel economy. With less than 20,000 miles on the odometer, this 4 door sport utility vehicle prioritizes comfort, safety and convenience. It includes heated seats, front dual-zone air conditioning, a power liftgate, and seat memory. It features an automatic transmission, 4-wheel drive, and a 2 liter 4 cylinder engine. We have the vehicle you've been searching for at a price you can afford. Stop by our dealership or give us a call for more information.